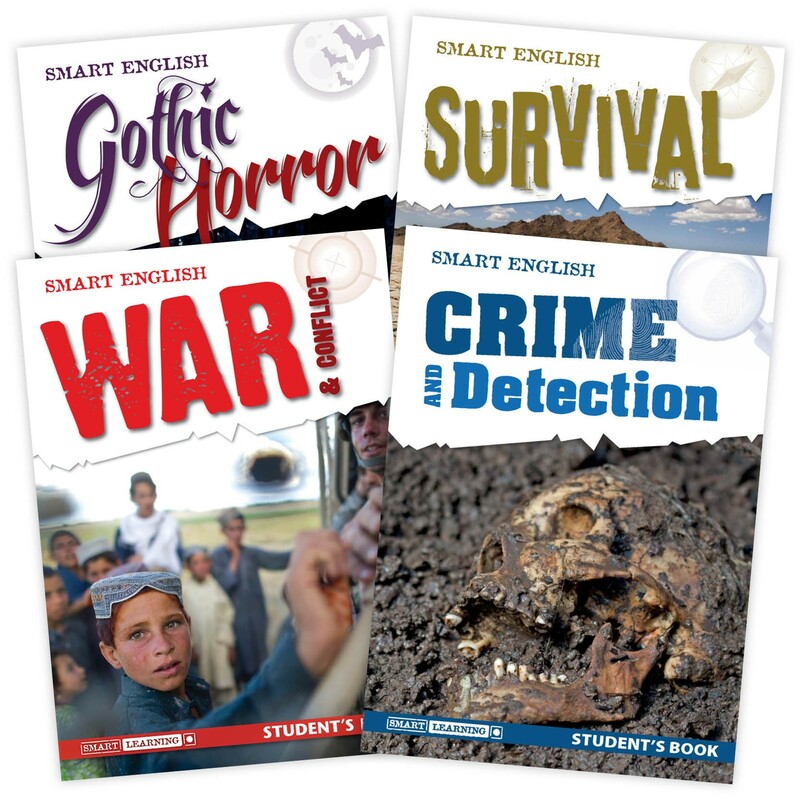 Smart English series provides a themed approach to Key Stage 3 English, matched to the new Programme of Study. Each unit is based on an inspiring selection of themed texts, presented in an attractive Student’s Book. Written with a focus on creativity, flexibility and progression, Smart English offers a wealth of adaptable, easy-to-use materials. Why not download and try some FREE lessons from the Smart English series so you can see for yourself how engaging these themed resources are? We've made a selection of lessons available from each of our units, Gothic Horror, Crime & Detection, Survival and War & Conflict, so that you can try them out in the classroom. To download and try a full set of differentiated lessons for each unit, simply visit our Smart English FREE resources page and select your theme. We hope you enjoy trying these lessons in the classroom. We’d love to hear any comments or feedback you have. ORDER a Special Offer Pack and add ADDITIONAL Student's Books (1 title) for ONLY £4.00 each - that's less than HALF PRICE!